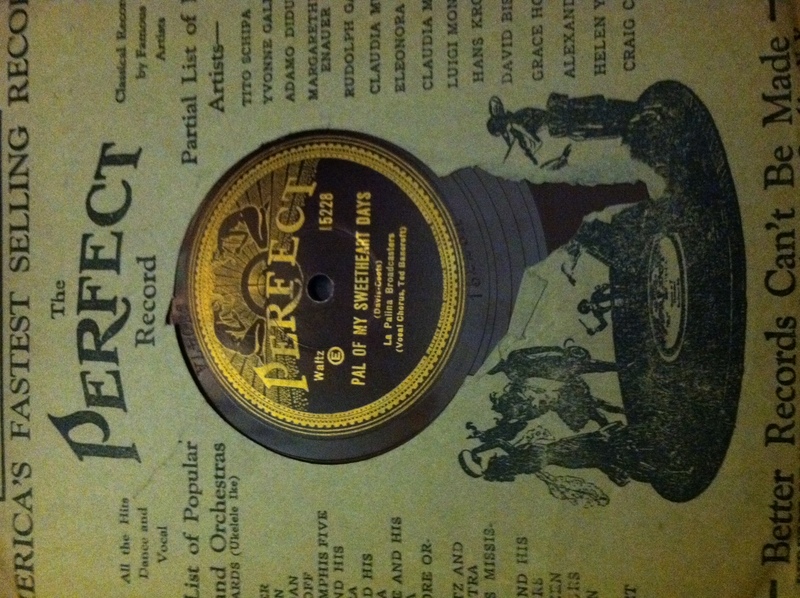 This week’s album was again drawn at random from my collection and provides perhaps one of the only recordings of an obscure tune largely lost to history and an early recording of one of the most popular jazz songs ever written, with the normally sung lyrics replaced by a truly unique and remarkable trumpet performance. 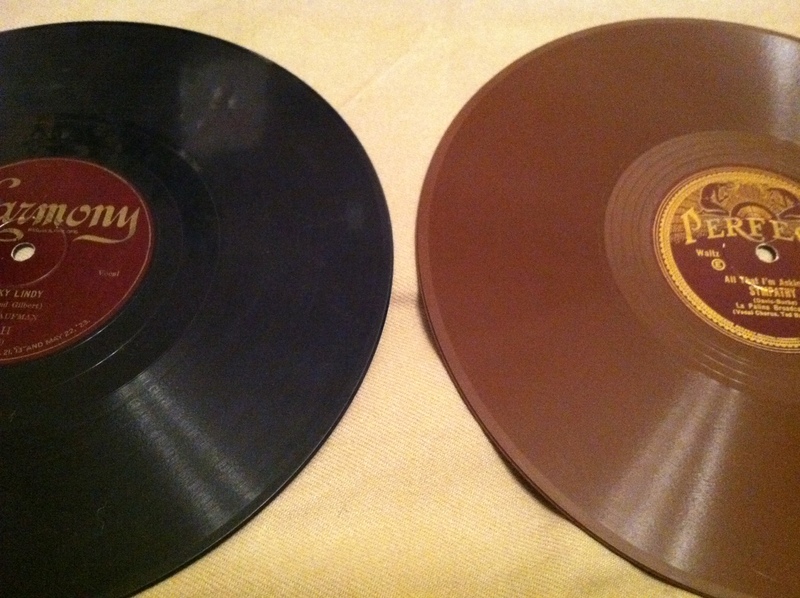 The Decca "sunburst" label (left) compared to their more common later label at right. The label is the Decca “sunburst” – Decca had, very generally speaking, three styles of label: sunburst, flat blue, and flat black. 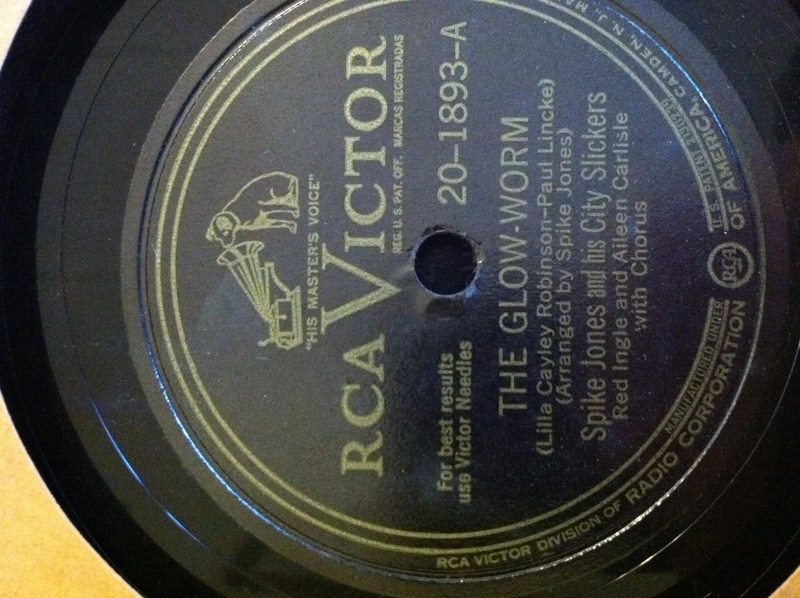 Sunburst labels are usually of more interest to collectors as they mark the earliest records issued by the company (from its formation in 1934 through 1937). On sunburst labels an art deco style “Decca” pops out with block letters and a false perspective angle. 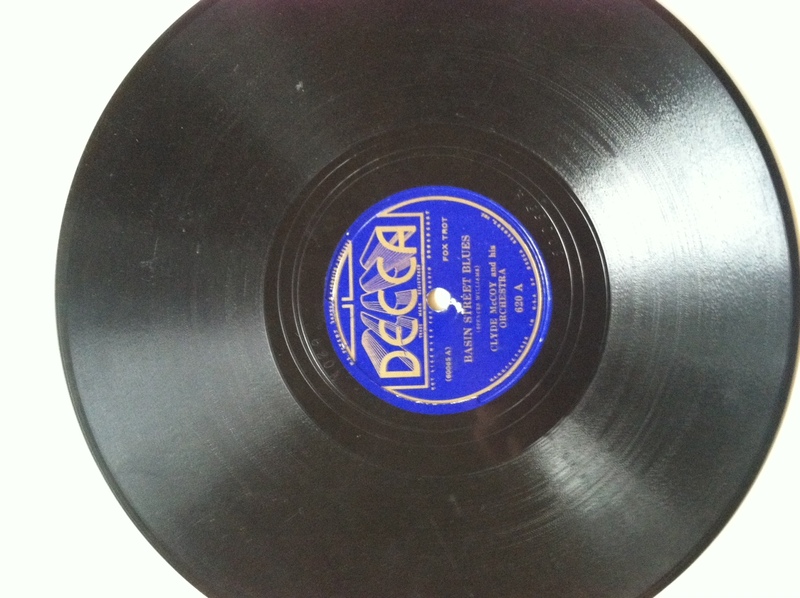 Decca would later reissue many of their sunburst recordings on the flat blue and flat black labels after 1937. 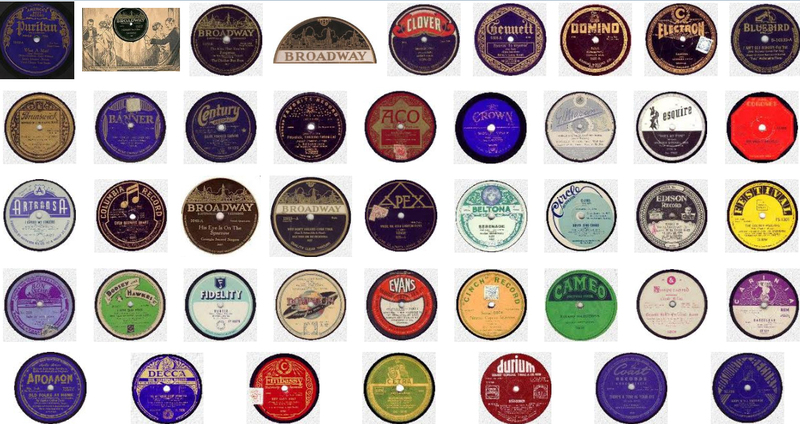 Because of the tremendous quantity of Decca records issued after 1937 and the overall higher value attributed with first issues compared to re-issues, sunburst labels are usually of greater monetary value. This is comparable to what happened with Victor: savvy collectors know that if a Victor label is a plain circle it is almost certainly of little to no value and is very likely to be a reissue. Victor “scroll” labels, on the other hand, are older and more likely to be original issues. This album is in Fair condition; there is a hairline crack through the disc at about 8 o’clock, however the needle on my Crosley Archiver was able to navigate it without difficulty. 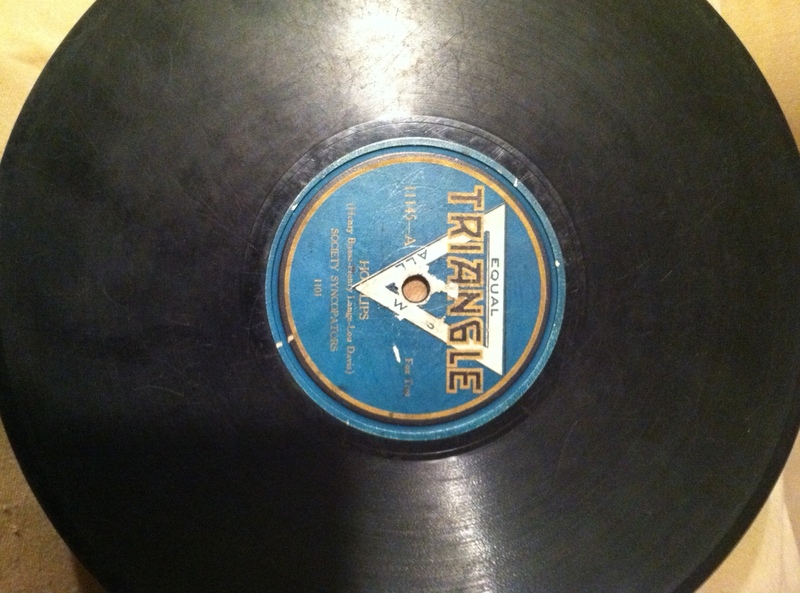 It is an electrically recorded 10-inch diameter 78-RPM black vinyl disc with lateral grooves and a ¼” spindle hole. 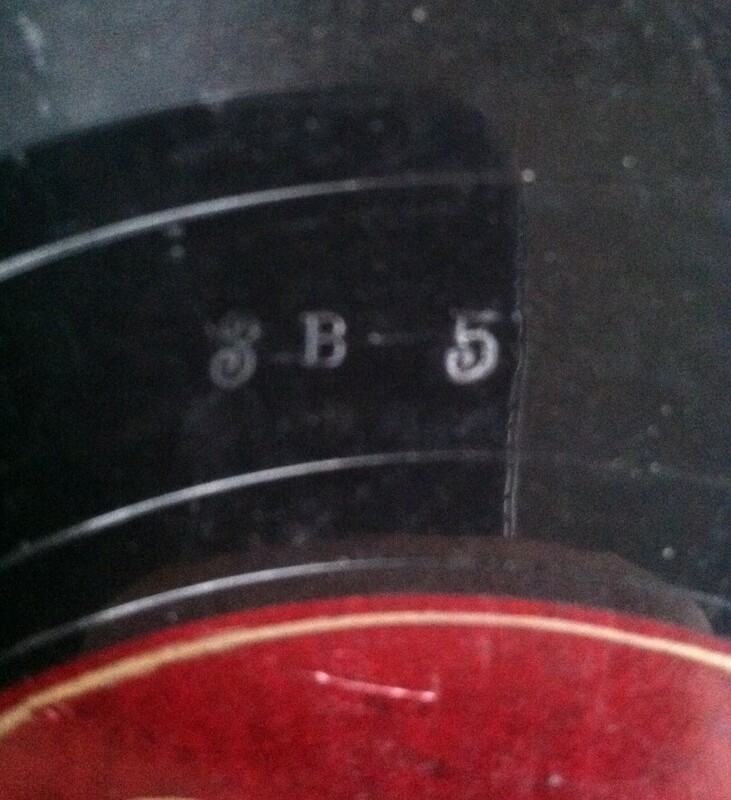 The record catalog number is Decca 620 A/B and the master number is 60065A/60063A. 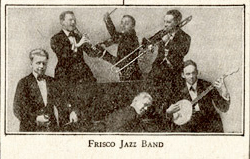 The A-side recording features the jazz fox trot “Basin Street Blues,” written by Spencer Williams (1889-1965); it runs 2 minutes and 59 seconds. 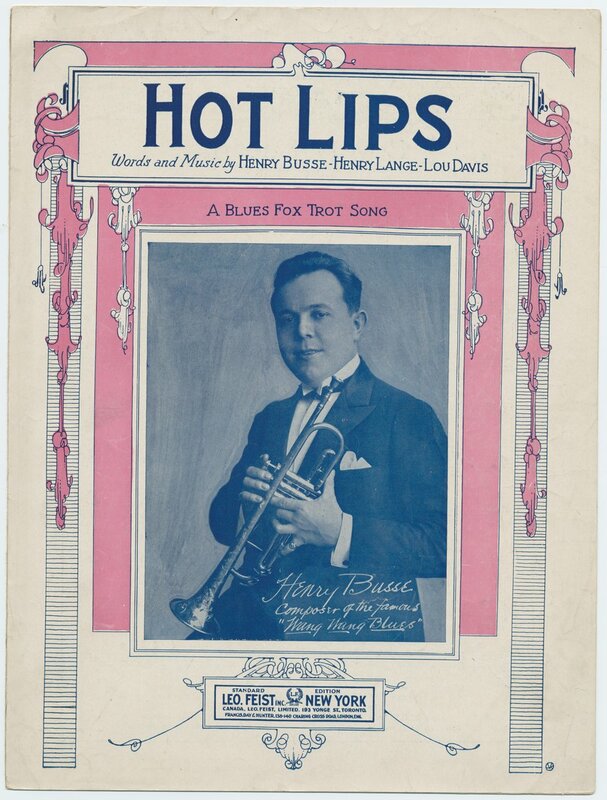 The B-side recording features the fox trot with vocal chorus “I’m Gonna Play in the Varsity Band,” written by Walter G. Samuels (1903-1994), Leonard Whitcup (1903-1979), and Teddy Powell (1905-1993); it runs 2 minutes and 37 seconds. 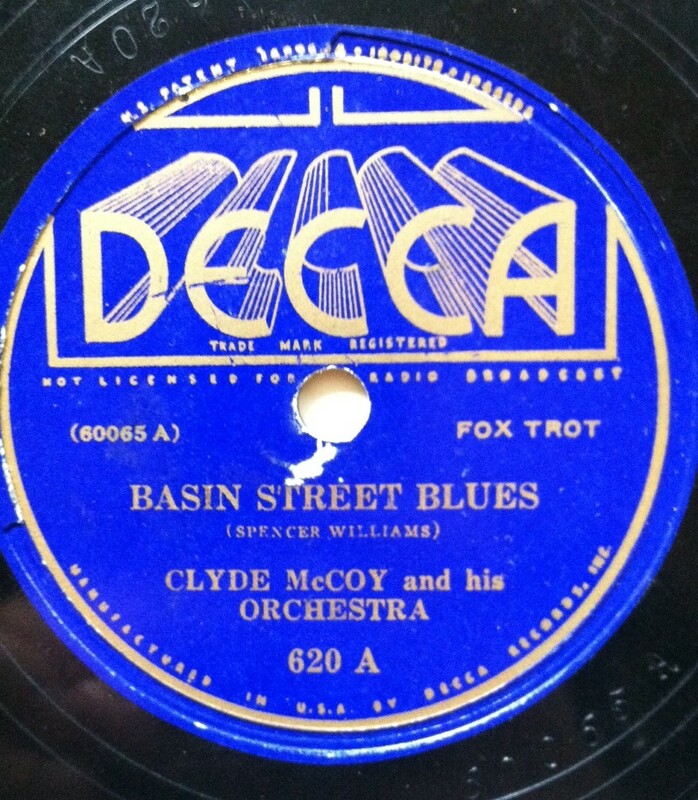 The artist on both sides is jazz trumpeter and bandleader Clyde McCoy (1903-1990) and his orchestra. 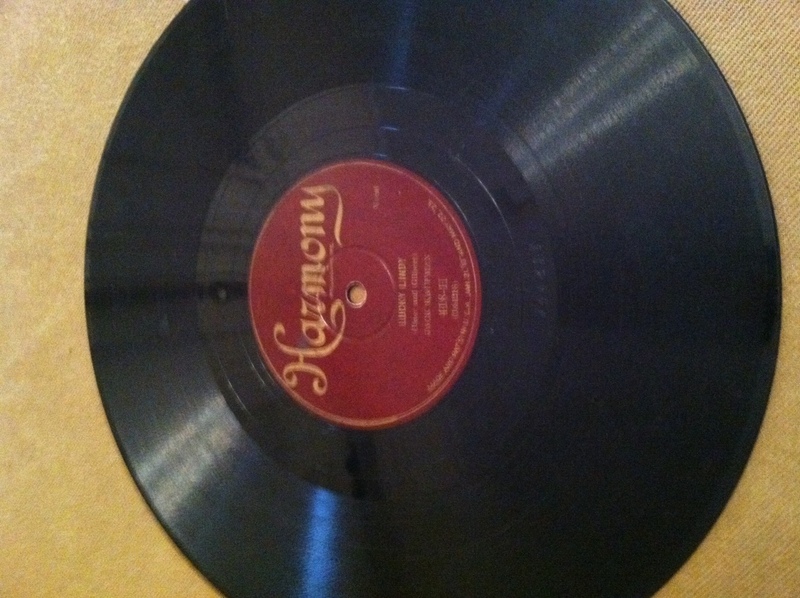 The album was recorded on October 14, 1935. Other owners of the album are selling it online for $1, $3, $4 (not the “sunburst” version, however), $4.25, and $5. Les Docks sets its value at $7-$10, which – given the prices for it online – seems a bit generous. 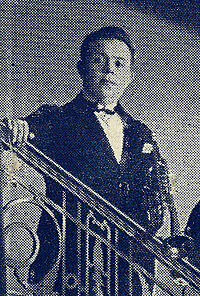 Clyde McCoy, jazz trumpeter and bandleader. 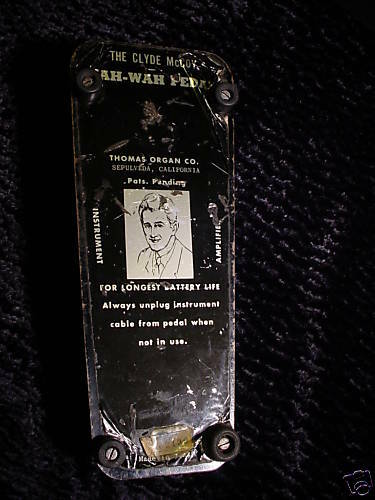 The bottom of the 1967 Voy Clyde McCoy Wah Wah Pedal for electric guitar featured McCoy's image. This pedal has clearly seen some use. McCoy’s most lasting influence on music was not any one song but, rather, a musical effect. A talented trumpet player, McCoy could create an amazing variety of sounds and effects with his advanced technique; foremost, and most popular with audiences, was the distinctive “wah wah” sound, created by fluttering a specific type of horn mute in the bell of his trumpet (I read some unconfirmed accounts that he actually used a toilet plunger, not a mute). You can hear it distinctly at 1:53 in “I’m Gonna Play in the Varsity Band” below and throughout “Basin Street Blues” (click on the link to the Vogue Picture Record recording of it elsewhere online). The effect became so popular and such a recognizable trademark sound for McCoy that the Thomas Organ Company built it into the Vox Clyde McCoy Wah-Wah Pedal for electric guitar in the mid 1960s. The Clyde McCoy Pedal, later named a Cry Baby Pedal, has become a staple effect for guitarists of all genres. In 2002 Vox reissued the Clyde McCoy Pedal with its original vintage look, including with McCoy’s image and signature on the bottom – a feature that the original pedal from the 1960s sported as well. 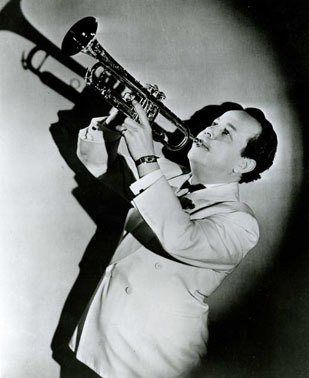 If you regularly skip listening to the clips or the links to the full recordings on this blog, this is not one to miss – McCoy’s talents with the trumpet are quite unique and well worth a listen. 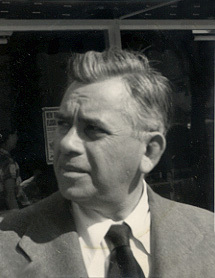 Songwriter Spencer Williams, composer of "Basin Street Blues." 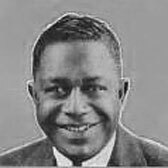 Spencer Williams was a composer, singer, and pianist who helped author some of the earliest standards of the American jazz era. 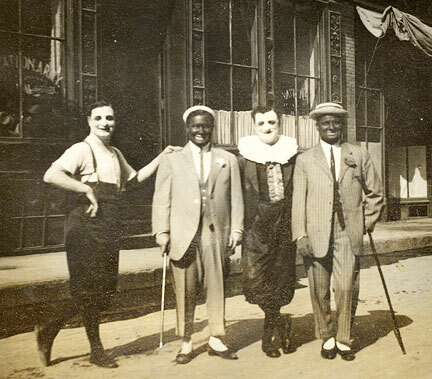 Born in New Orleans Williams was one of the chief collaborators for Fats Waller. In addition to “Basin Street Blues” – perhaps his most enduring song (it is still being recorded by musicians to this day – he penned “Squeeze Me,” “She’ll Be Comin’ Around That Mountain,” “I Ain’t Got Nobody,” “Royal Garden Blues, and “I’ve Found a New Baby” among many, many others. 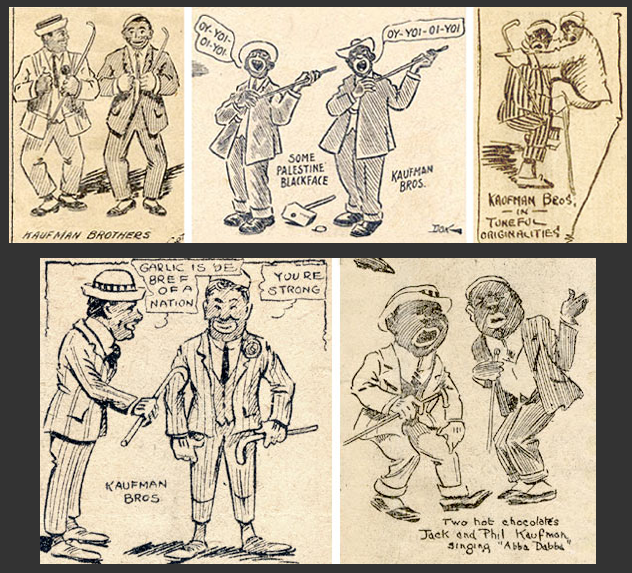 “Basin Street Blues” is a standard of Dixieland jazz bands to this day. 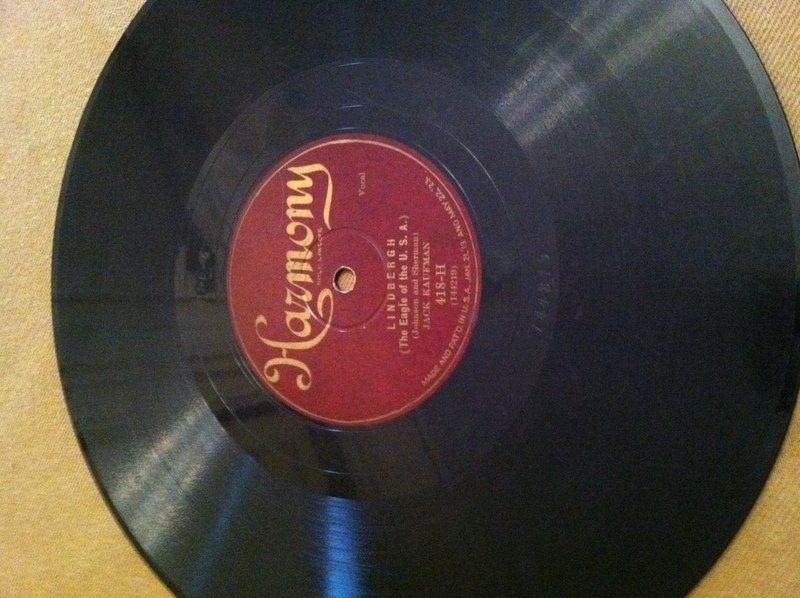 It was published in 1926 but really became famous when Louis Armstrong issued a recording of it in 1928. Basin Street is the main thoroughfare of Storyville, which had been the red-light district of New Orleans’ French Quarter from 1870 through the early decades of the 20th century. 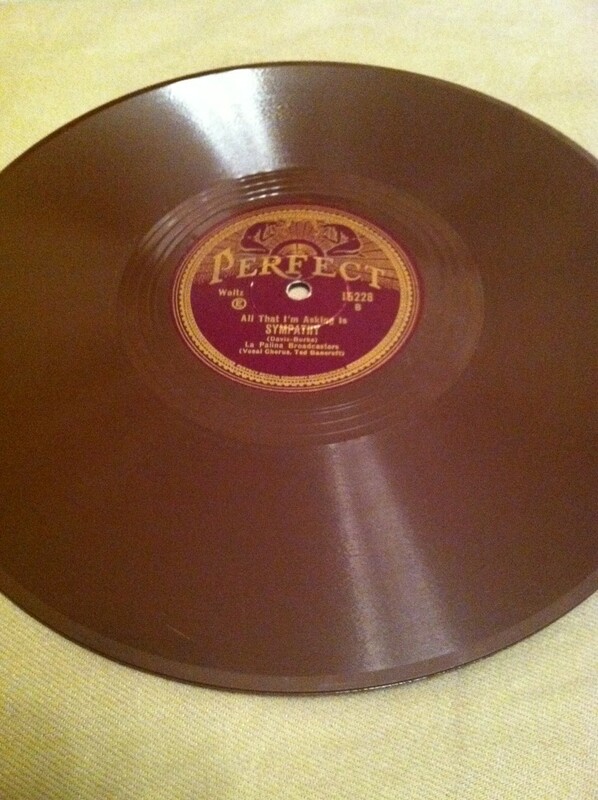 McCoy’s recording became part of his portfolio of trademark songs and proved so popular it was later reissued on a Vogue Picture Record in 1946 (click the link to see a video of the record, with McCoy’s picture on it, and also listen to the recording in its entirety). 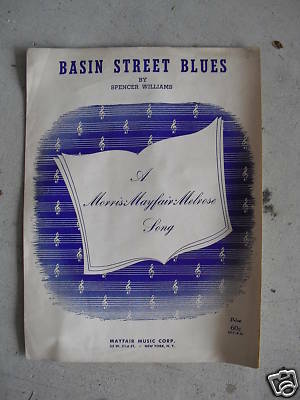 Original 1926 sheet music for "Basin Street Blues." 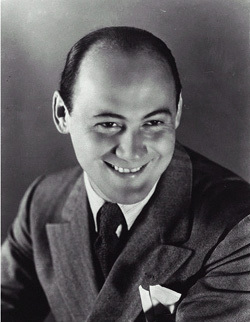 The song has been recorded by Bob Wills, Ben Pollack, Tommy Duncan, Louis Prima, Dr. John, Connee Boswell with Bing Crosby, Ella Fitzgerald with the Sy Oliver Orchestra, Jo Stafford and Frankie Laine, saxophonist David Sanborn, “turntablist” Kid Koala, Sam Cooke, Jack Teagarden, and Liza Minnelli. Some may also recognize the tune from its more recent use on the soundtrack to the major feature film The Curious Case of Benjamin Button. The song’s lyrics went through an interesting, albeit temporary, metamorphosis in the mid-1950s that is quite revealing of the prevailing attitudes towards race relations at that precise time in American society: the lyric referring to Basin Street as the place where “the dark and light folks” meet was altered to the less controversial line that it is the place where “the young and old folks” meet. 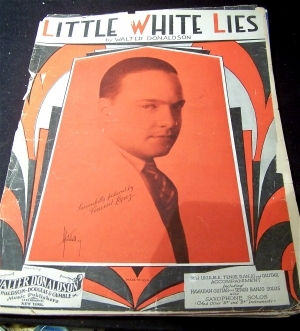 Thankfully most contemporary recordings (after the Civil Rights era) returned to the original lyrics as Williams wrote them. 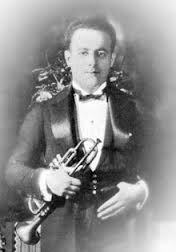 The McCoy recording, as you might have guessed, replaces the vocal line with McCoy’s own remarkable performance on the trumpet. If “Basin Street Blues” is an enduring standard still recorded to this day, than “I’m Gonna Play in the Varsity Band” is the complete opposite. 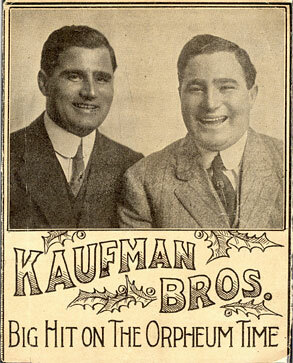 The song was entered into copyright on September 21, 1935 by Chappell and Company of New York. 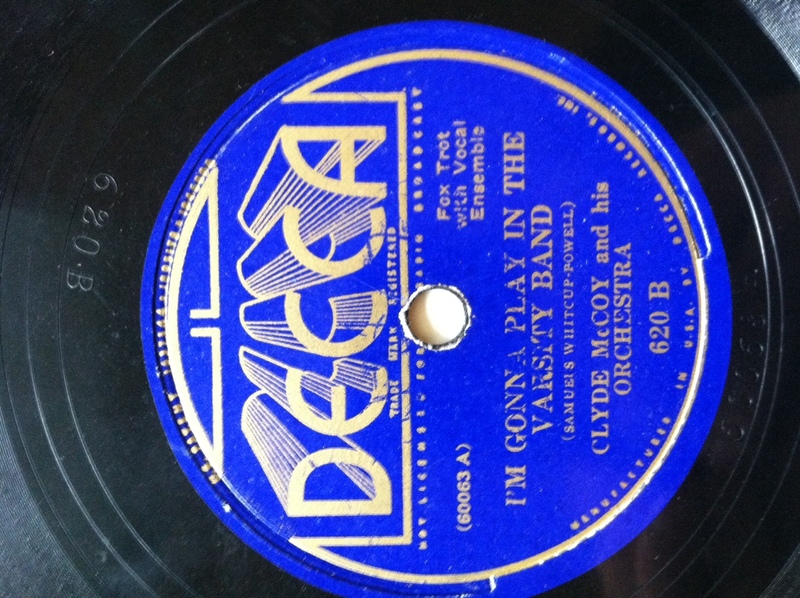 I can find no other mention of it being recorded by any artist excepting this one by McCoy for Decca. The tune is an up-beat song about how a musician will win the girls and make the football players’ jealous through his skills in the college band: band geek’s revenge, Tin Pan Alley-style. It is not a bad song, but simply proved unmemorable and never became a commercial success, despite the fact that one might assume it would be popular with college pep bands of the time. 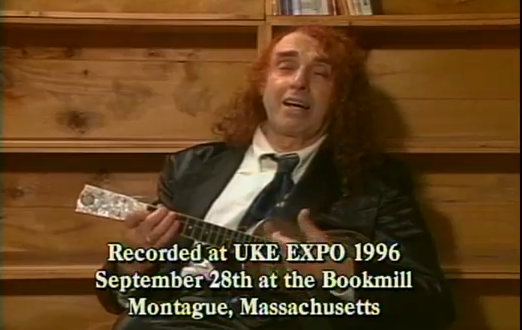 If it was, there is no record of it being performed and no other recording of it by any such band that I could locate. 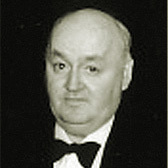 Walter Samuels was an enormously prolific composer, who wrote music for films and television starting in 1932 (Blondie of the Follies) and ending in 1989 (Harlem Nights with Eddie Murphy and Richard Pryor). 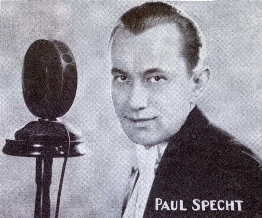 Interestingly there was a sizable gap between his song “Chuck a Luckin” on the soundtrack to People Are Funny in 1946 and his tune “March Winds and April Showers” for a 1978 episode of Pennies from Heaven. In all he wrote 32 songs that eventually appeared on a soundtrack. A review of his soundtrack songs, his works for Broadway, and his singles reveals no real chart-toppers. 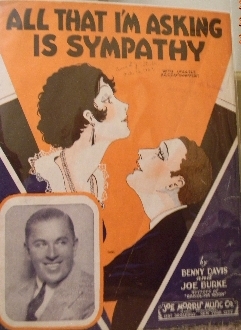 Like Samuels, Whitcup wrote numerous songs (23 in all) that appeared on film and television soundtracks from 1932 (again, Blondie of the Follies) through 2008, when his tune “From the Vine Came the Grape” was used posthumously for the TV movie That’s Amore!. 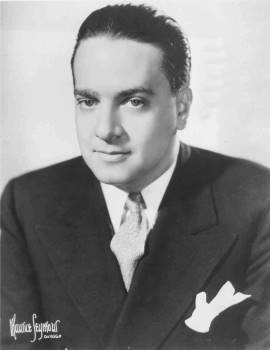 Indeed many of his songs continued to be used in soundtracks after his death in 1979, including what is probably his most famous number: the song “Frenesi,” written in 1939, which appears on the soundtrack to 1980’s Raging Bull. 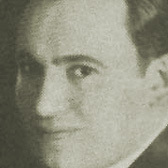 Composer and moderately successful bandleader Teddy Powell. 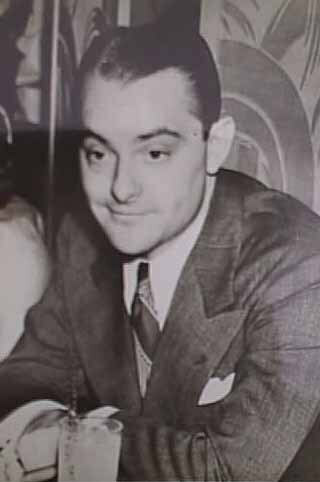 Teddy Powell, born Teodoro Paolella, was a jazz guitarist, big band leader, and composer. Powell started as a violinst, then moved to the banjo, and finally picked up the guitar and formed his own band at the age of 15. 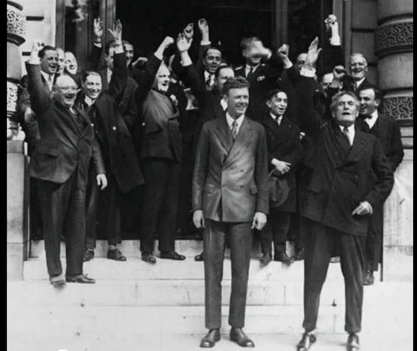 The band stayed intact for 24 years – a remarkable feat in the 1930s and 1940s, when most groups were dissolving, dividing, and reorganizing on an almost yearly basis. 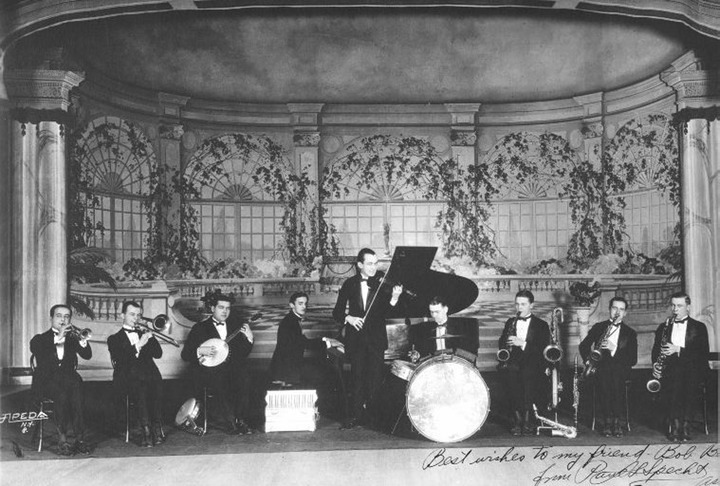 Powell’s band was not one of the big A-list gigs, reaching fame for only one brief period in 1939, though they were able to hire on some highly regarded musicians from other top orchestras – including Benny Goodman and Tommy Dorsey’s. 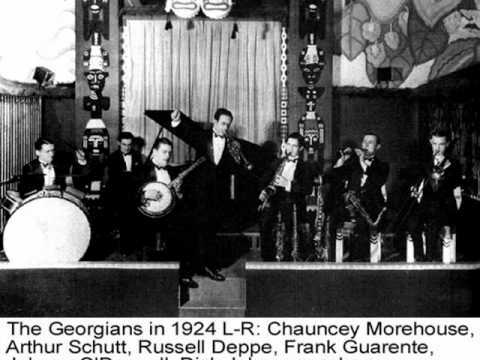 They may have gone upward from that 1939 point, but a tragic fire at a New Jersey nightclub where they were playing in 1941 destroyed all of their instruments. The group never recovered and dissolved in 1944, just missing out on the high-water mark for big band music in the early 1940s. In researching “I’m Gonna Play in the Varsity Band” I was not surprised to discover almost no information about it online – no recording history, no critical reviews, no references to its performance, no complete recordings, and no description of its lyrics. 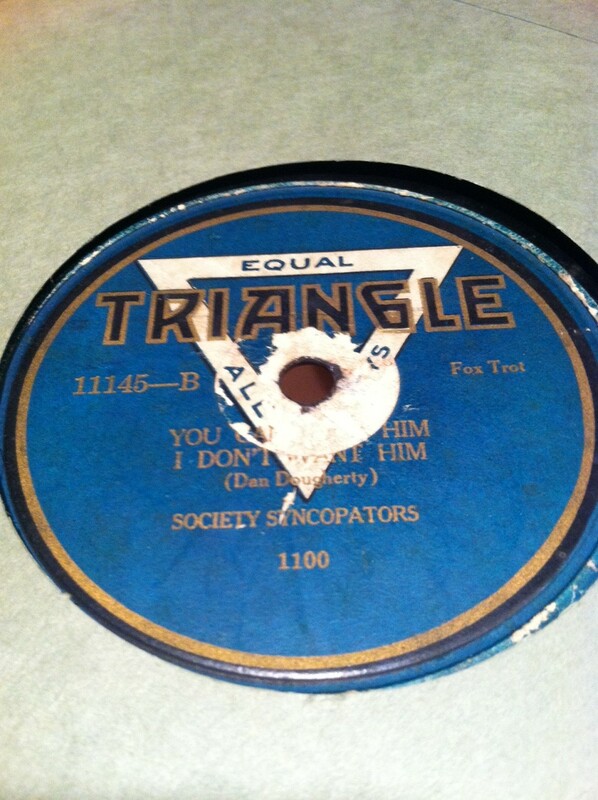 It is, for all intents, a song that never existed outside of this Decca record. Indeed countless songs – thousands upon thousands – from the first decades of recorded music have likely suffered a similar fate, whether deserved or not. Therefore I have decided to post the lyrics and the entire song here on Zayde’s Turntable, so that any future researcher who might – for whatever reason – have an interest in the tune will find it online, saved for posterity, in at least one location. It seems ironic that despite the hundreds of millions of websites today, not one has the details of this song, which is – after all – only 77 years old. Rah! Rah! Rah Rah Rah! To win the heart of my co-ed with melody. And make you football heroes jealous as can be. I’ll make my college win this game by playing my cornet. I’m gonna play in the varsity band. Decca 620 offers both an enduring classic and a song lost to history. Listening to it made me better understand that all recorded music – records, CDs, cassettes (even 8-tracks) – presents us with a complete program of songs selected for a reason and performed as a whole or in some order for (usually) a specific artistic purpose. I love iTunes and the ability of the listener to craft their own song lists; and the release of singles is, of course, a long-standing practice of the music industry, but there’s something to be said for taking an “album” in whatever form and appreciating all (or both) of the songs on it as an artistic whole. If nothing else it forces us, as listeners, to keep songs that would otherwise be lost to time for whatever reason – be they ahead of their time and not fitting with popular taste in the day when they were released or be they simply bad. No matter why, if we wanted “Basin Street Blues” we would need to have “I’m Gonna Play in the Varsity Band,” too. Both of them would be on our turntables, if only one of them would stay in our minds and in our ears. This week’s selection is by special request from none other than Zayde himself! My collection includes a number of single albums by the prolific and immensely talented comic musician Spike Jones, the self-described “man who murdered music” (for our younger readers, imagine a mid 20th century Weird Al Yankovic). Rather than feature just one of these records, however, I’ve decided to feature a compilation. 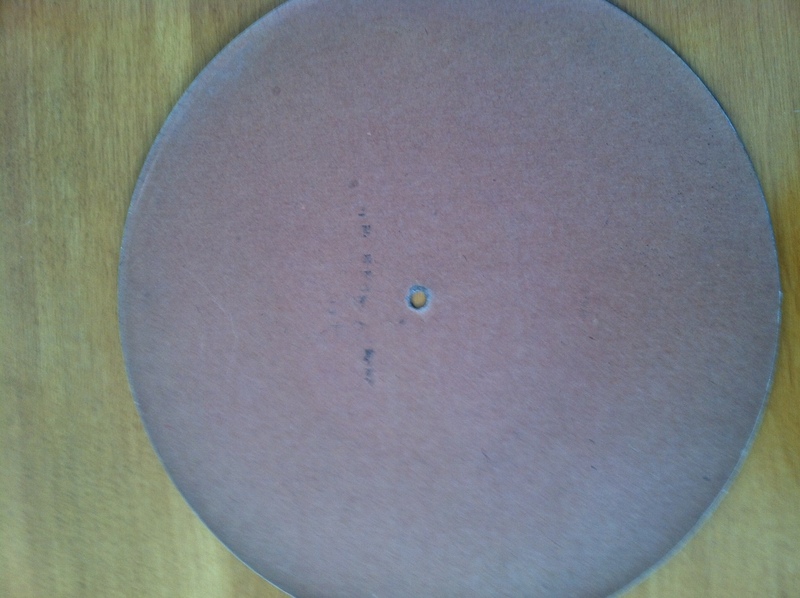 “Musical Depreciation” is a bound set of five standard electrically recorded 10-inch diameter 78-RPM black vinyl discs with lateral grooves and ¼” spindle holes. 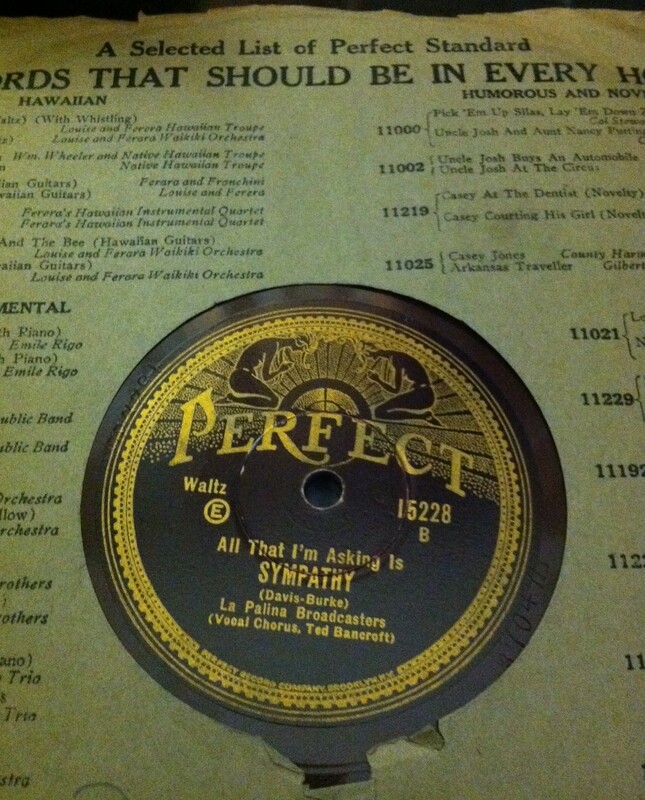 The musician on all the records is “Maestro” Spike Jones and his City Slickers. The records themselves are housed in plain brown paper sleeves that are bound together in a cardboard book that measures about 12” wide by 10-3/8” tall by 5/8” deep. 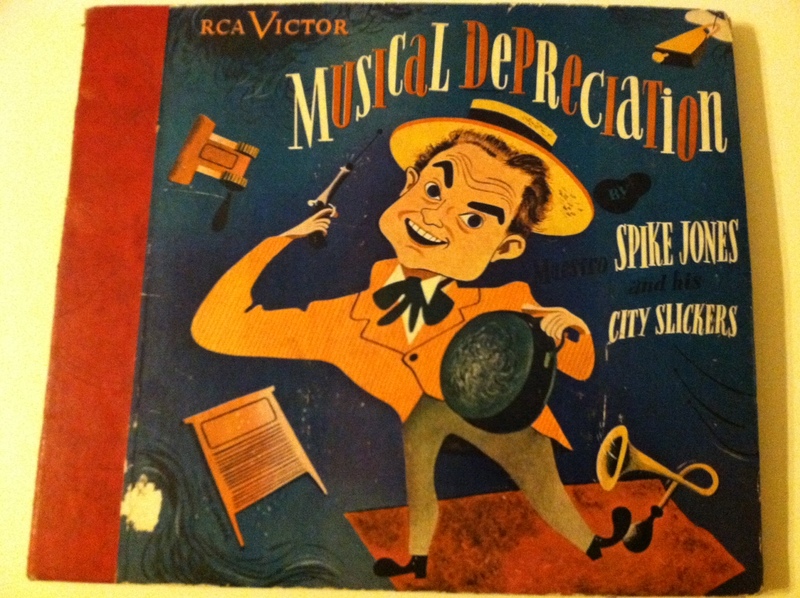 The cover has a full color caricature illustration of Spike Jones, wielding a popgun and surrounded by musical instruments. 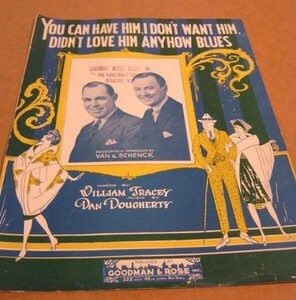 The front and back boards are blue with a red paper over the spine and the album title and artist name appearing in gold lettering down the side. The cover shows some wear but the majority of the rubbing and damage is along the binder’s edges and corners, as well as the spine. 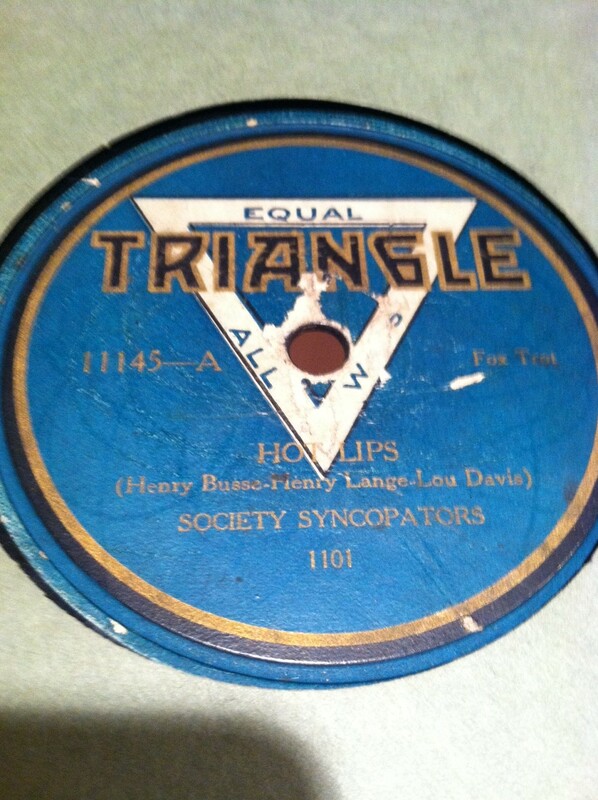 Neither the set nor the individual albums (nor any Spike Jones album, for that matter) appear in Les Docks’ valuation guide for collectible 78-RPM records, however I was able to find three dealers selling the set online for $19, $40, and $50. 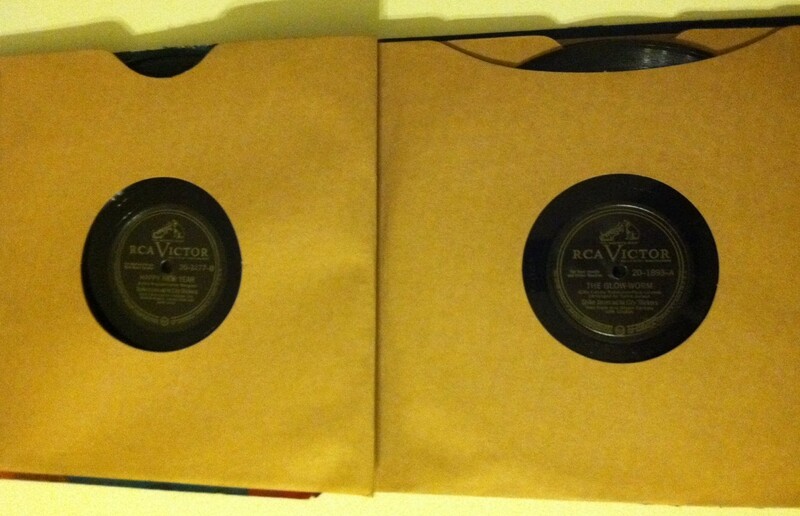 Three other RCA Victor compilation sets in my collection. 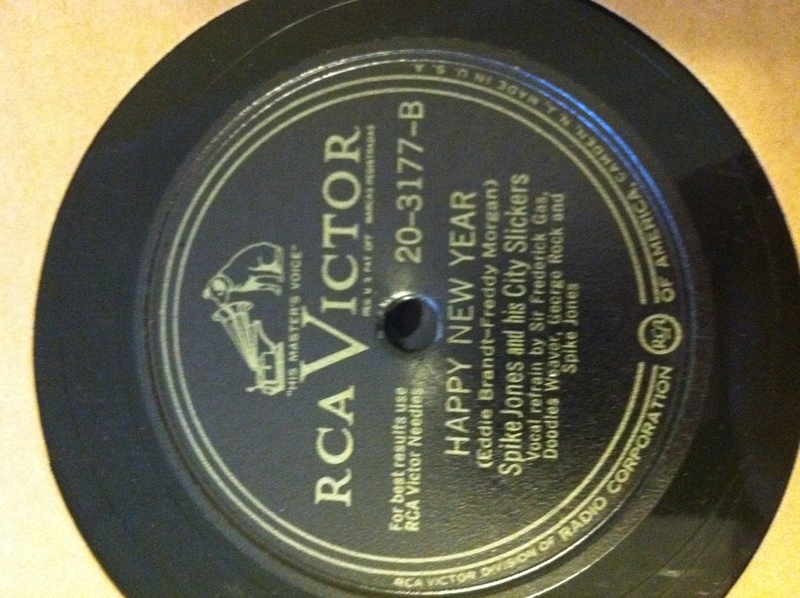 The set was issued by RCA Victor, one of the many labels and brands of the Radio Corporation of America and Victor. 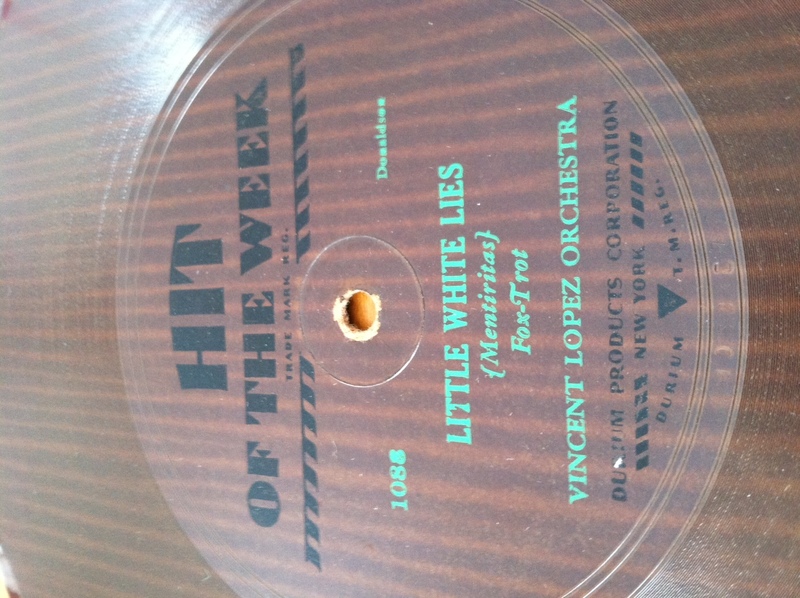 Victor, of course, is perhaps the most prolific record company of the 20th century. The company’s history and diversity of labels are, as was the case with Columbia, far too long and complicated to detail here. 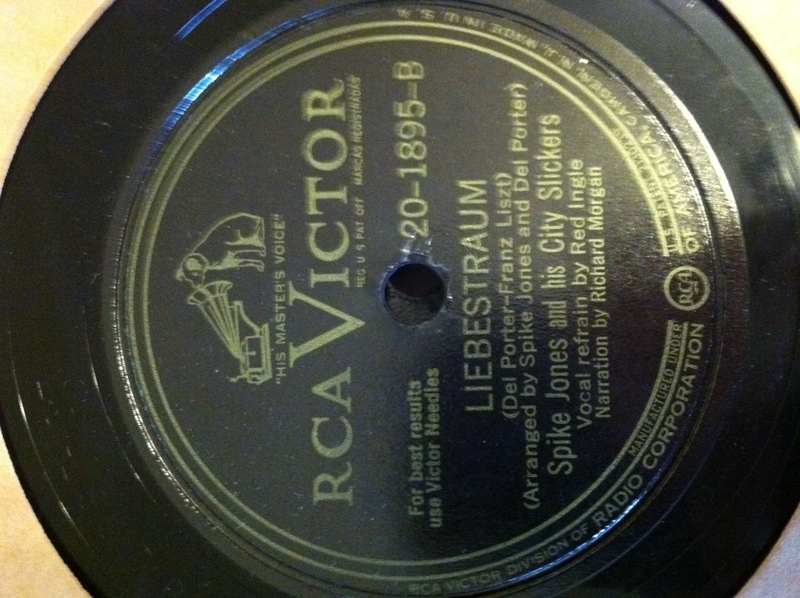 I will point out that RCA Victor issued a number of sets of records with the exact same dimensions, color schemes, and even typeface on the spine as “Musical Depreciation.” Bound sets such as this one were a way for a record company to issue a compilation of songs by one artist (or, with their classical records, to release a multiple movement symphony in one package). The key with bound sets, however, is that they are almost never the first issue of a particular recording. In order to be worth the expense that the binder and artwork entailed, companies would only issue works and artists that had already had proven commercial success. Despite the fact they are “reissues” of previously released recordings, bound sets today are not terribly common. 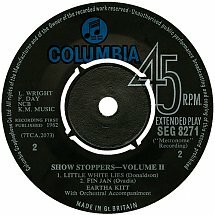 The great irony is that many record sellers would remove the records from the set, discard the binder, and sell them individually; the end result is a glut of A-list musicians’ records – all represses and individually mostly without any collectability or value – that, had they been kept in their original album, might actually be more valuable. Several other RCA Victor album covers with Frank Decker's rich illustrations. 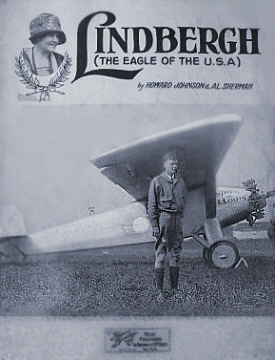 The illustration on the cover is by the artist Frank Decker. 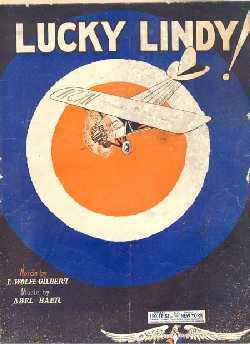 I could find almost nothing about the personal life of this 1940s-1960s illustrator in my research. Decker was an in-house RCA Victor album illustrator, though he was not the company’s only such artist. Album artwork today is for many as collectible as the records themselves – for some, in fact, it is more so, and album covers with no records in them at all can sometimes fetch far more than the associated record in a plain sleeve with no illustration. Decker was heavily influenced by the man who supposedly originated the concept of album artwork: Alex Steinweiss, the in-house illustrator for Columbia records. Steinweiss, who passed away last year at the age of 94, was a member of the Columbia advertising department when he was approached by some of the company executives in 1939 to develop strategies to improve record sales. 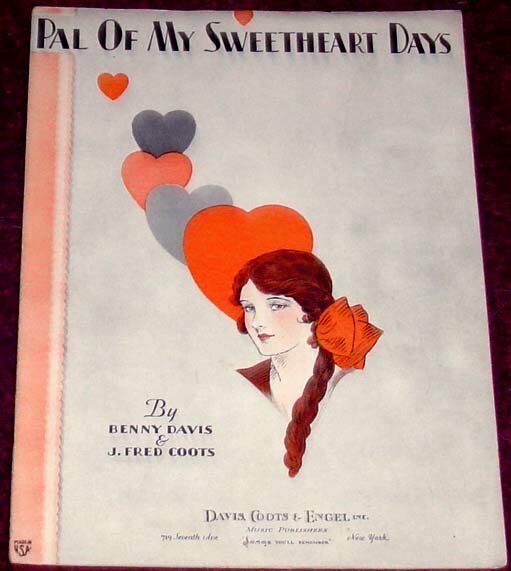 His first illustrated album cover, for a collection of Rogers and Hart songs, was a massive success and Columbia moved quickly to re-release their most popular albums to that point with new illustrated covers; in most cases sales increased by nearly ten times their previous level for the same record. Decker was more than just an album artist. 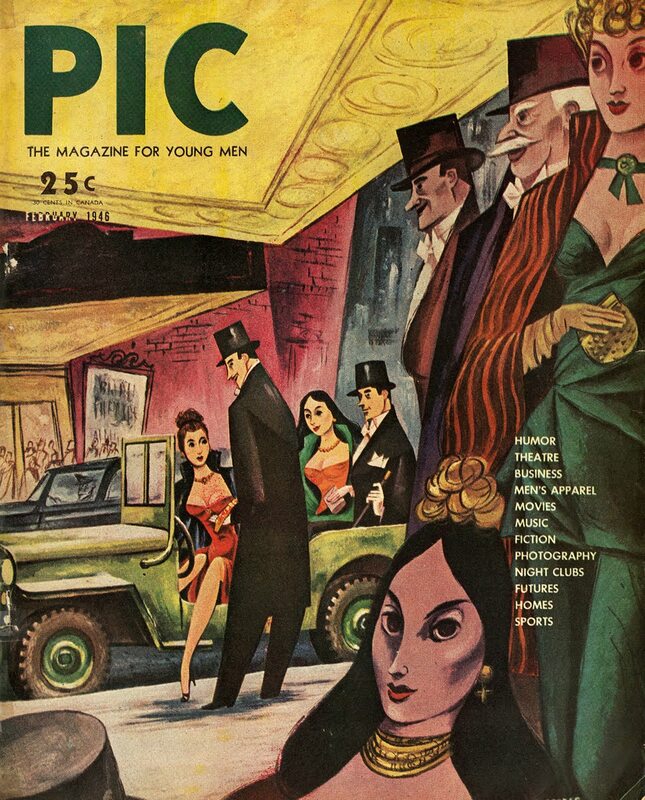 He did this cover illustration for Pic magazine in 1946, the same time he was busy working for RCA Victor. 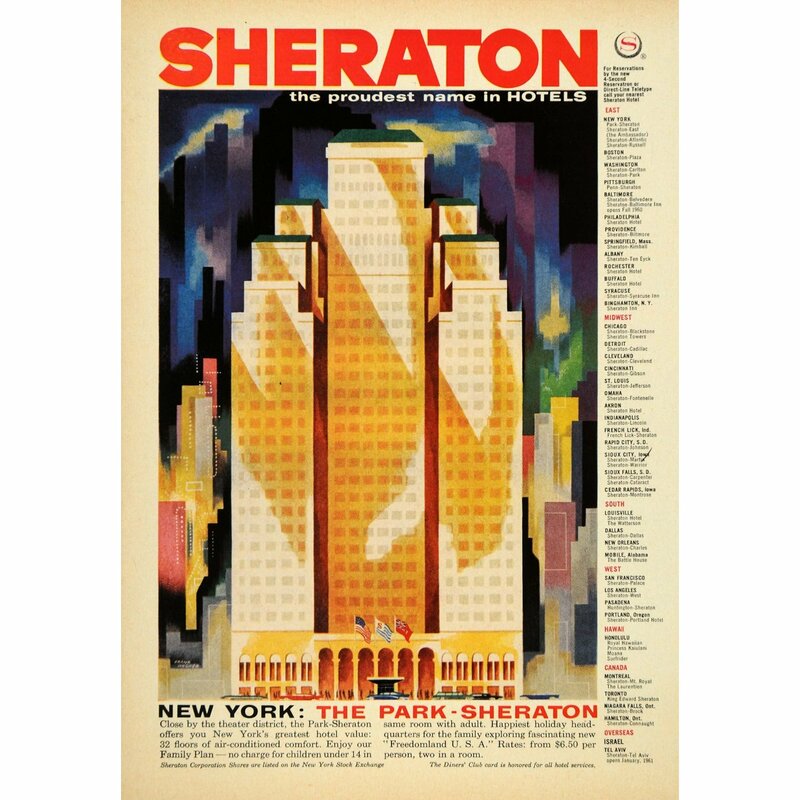 Ad for the Park-Sheraton hotel illustrated by Frank Decker in 1960. The other record companies were quick to catch on to the concept and began releasing (and re-releasing) their own compilations and solo albums in the new illustrated album cover or sleeve in the 1940s. 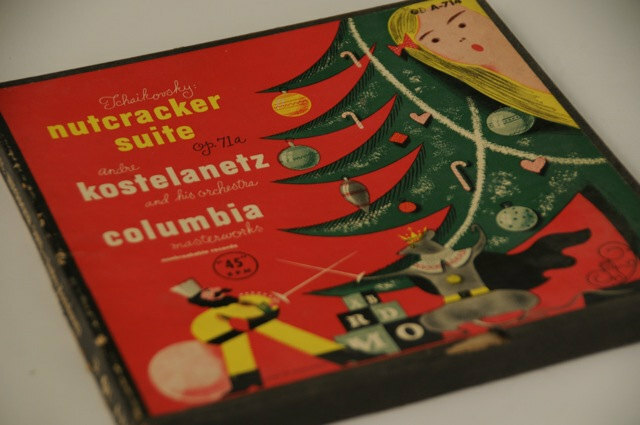 Decker, who was with RCA Victor, based his illustrations on the same style and sentiment that Steinweiss had popularized: geometric patterns, bold solid colors, and whimsical or fantastical depictions of scenery or other elements illustrative of the album content. Decker’s most famous works were probably his classical music album covers, which captured creative, fantastic scenes in a style that was remarkably at once both rigid and fanciful. 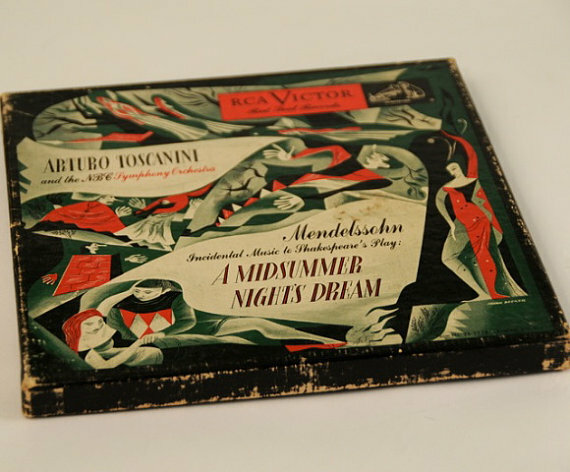 The illustrations took liberties with scenes and people and the earliest reviews of the pieces I could find – in Billboard magazine from 1947 – indicate that some in the music industry, while impressed with the artwork, were a bit confused with Decker’s (and presumably Steinweiss’) imaginative interpretations. Where Steinweiss remained primarily an album artist until the 1970s, when a more psychedelic style of artwork became the fad and he chose to retire, Decker apparently branched out early, doing magazine covers and advertising art as early as the mid 1940s, while also continuing to provide illustrations to album artwork well into the era of the 45-RPM. Album boxes for 45-RPM records, illustrated by Frank Decker. 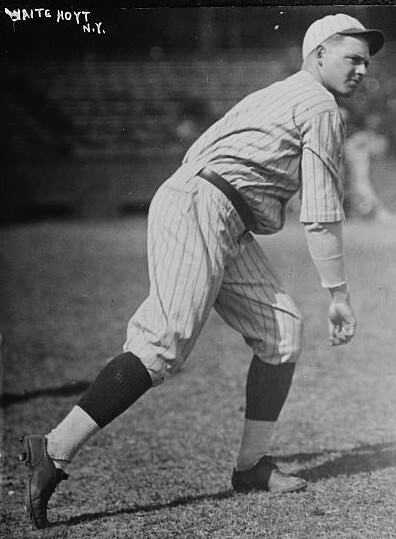 Spike Jones. His band's trademark outfits sported garish plaids, stripes, and bowler hats, to accent their looniness and guarantee the viewer would remember them. Spike Jones (1911-1965) was born Lindley Armstrong Jones and earned his nickname as a young boy when his father’s business colleagues at the Southern Pacific Railroad compared the thin boy to a railroad spike. He had an early affinity for music, getting his first drum set at the age of 11 and learning how to beat out rhythms from a chef in a railroad station restaurant who taught him how to play on pots and pans in the back kitchen. 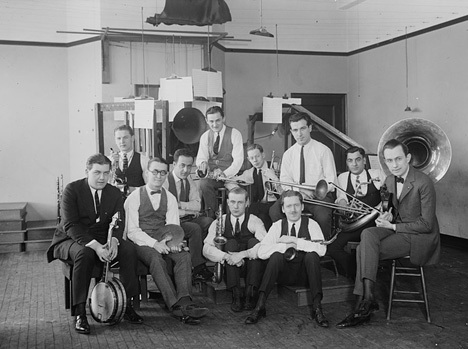 A short stint in theater orchestra pits led to a job playing drums for a number of larger bands, including as the percussionist on Bing Crosby’s first recording of “White Christmas.” It was in the pit orchestras, however, where the young drummer discovered the niche market of novelty orchestras. 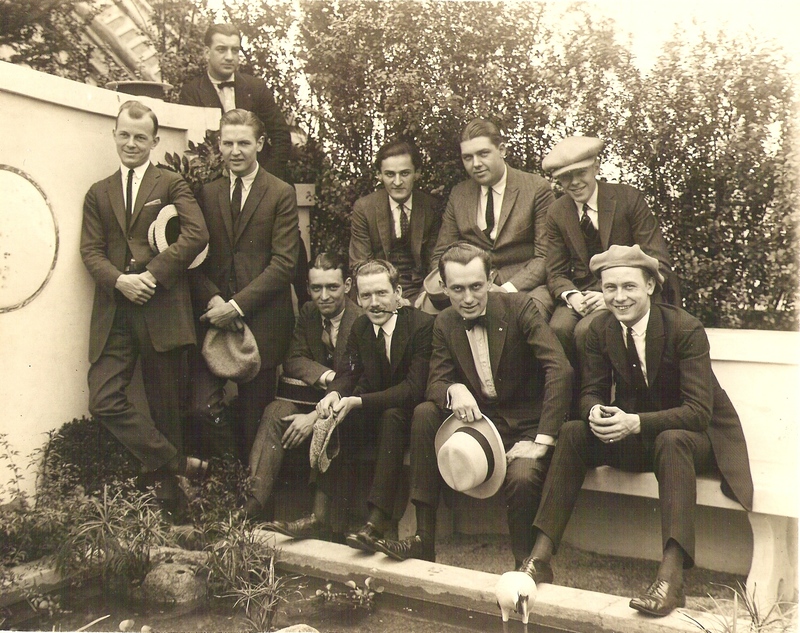 The City Slickers, in an early performance. 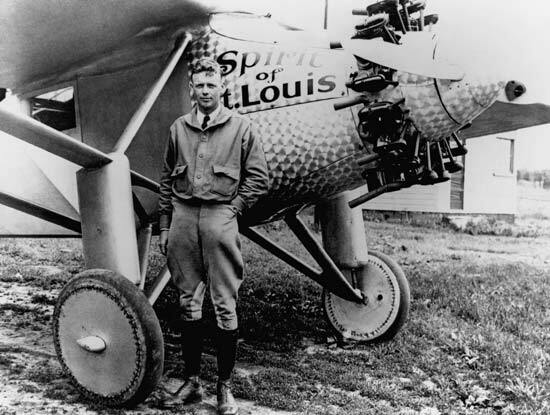 Jones was described as being, in private, a moody and ambitious man who was deeply interested in finding new ways to promote himself and build his own name in the public. Bringing together other musicians from his studio gigs, most importantly the vocalist and clarinetist Del Porter and violinist Carl Grayson – both relatively big names at the time – Jones assembled his own novelty band. 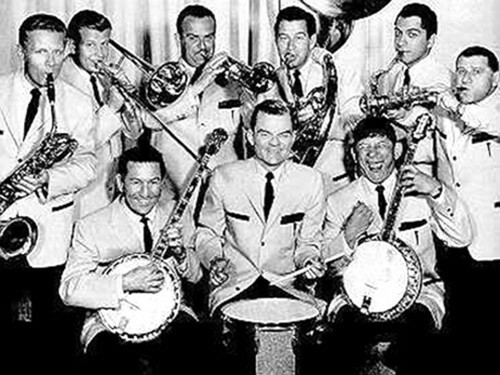 Originally named the Feather Merchants, the group rechristened itself the City Slickers (after a Cindy Walker tune that Jones had played in the band for entitled “We’re Gonna Stomp Them City Slickers Down”). If in private he was broody recluse, in performance he was the consummate ham. 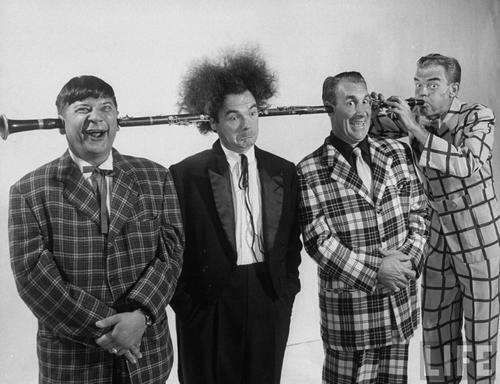 Spike Jones and his City Slickers became infamous throughout the 1940s for their satirical arrangements of popular songs – from contemporary fox trots to classical works – and for utilizing a bizarre assortment of “instruments” including shotguns, birdcalls, police sirens, and cowbells. Donald Duck mocks Hitler and the Nazis. The City Slickers grew in size and took their (expensive) show on the road for "Musical Depreciation." Popular taste changes in comedy perhaps quicker than any other form of entertainment, and Jones was no exception; the musical comic act was dying and being replaced by spoken word comedy recordings by the likes of Mort Sahl, Bob Newhart, and Tom Lehrer (Jones tried his hand at spoken word comedy on the LP “Omnibust” but it was not a big hit). 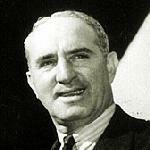 His popularity peaked by the mid-1950s and began a slow decline from there. 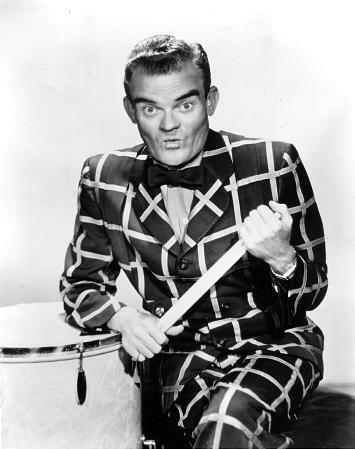 Coupled with the large expense associated with a traveling revue featuring dozens of performers and Jones’ choice to walk away from the Victor label the Spike Jones phenomenon plummeted. 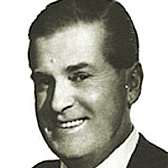 Jones, whose fodder was big band tunes and highly lampoonable pop music of the 1940s, was hurt by the rise of rock-n-roll in the 1950s and 1960s. 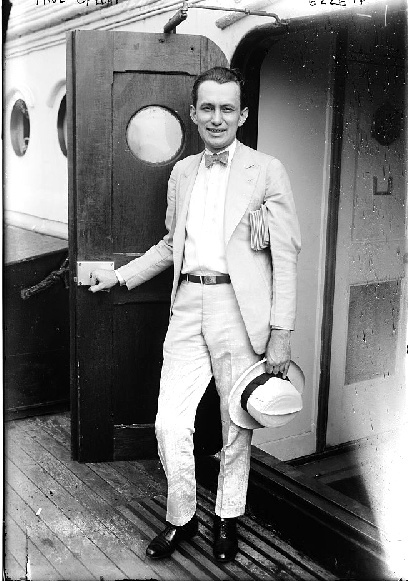 There were attempts at children’s records (“Socko, the Smallest Snowball!”) and even a few serious music recordings under the moniker Spike Jones’ New Band, but the bandleader failed to recapture the successes of his earlier period. Then, on May 1, 1965, at the age of 53, Jones – who smoked countless cigarettes every day, died from emphysema. 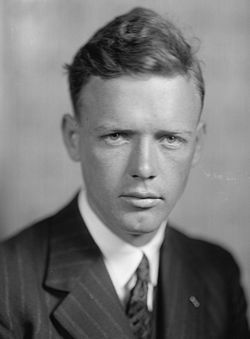 Just as Jones had been influenced by the novelty orchestras (and the Marx Brothers) of the 1920s and 1930s, however, the City Slickers left an indelible impression on American culture and paved the way for performers such as Stan Freberg, Peter Schickele’s P.D.Q. Bach, Frank Zappa, and, of course, Weird Al Yankovic. Even the Beatles, by way of the Goons, drew some inspiration from the drumming musical murderer from Southern California. My copy of the album set features five completely immaculate interior envelopes. 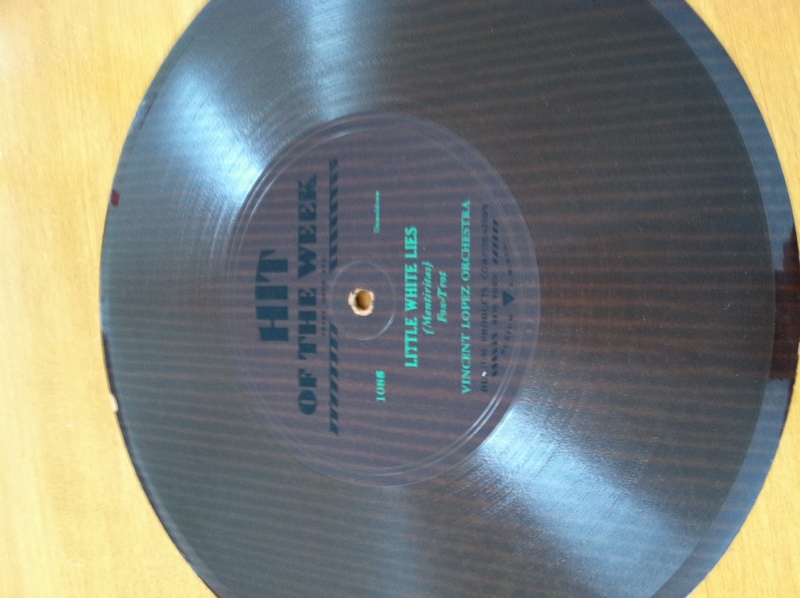 Interestingly, of the three individuals selling this set online, not one of us has the same five records in the album. 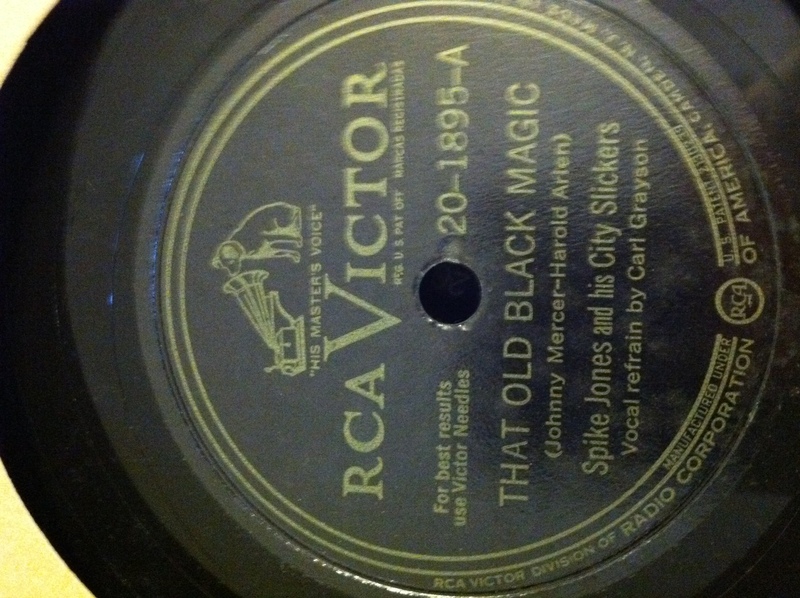 All are RCA Victor labels and all feature five of Spike Jones many records. This is because it was very common for owners of these albums to mix and change up the records that were stored in the album binders, often based on preference or simply replacing a damaged record with another one by the same artist. I have not been able to identify the exact recordings that comprised the album set as originally released. Below I provide the information about what is on each of the five records I have in the set, along with links to complete versions of the songs elsewhere online. I do not go much into detail about the writers or performers, but where there is some interesting comment about the song itself I’ve included that. This disc does not appear in the sets of the other three versions I found and is probably a later addition to the “Musical Depreciation” compilation I own. 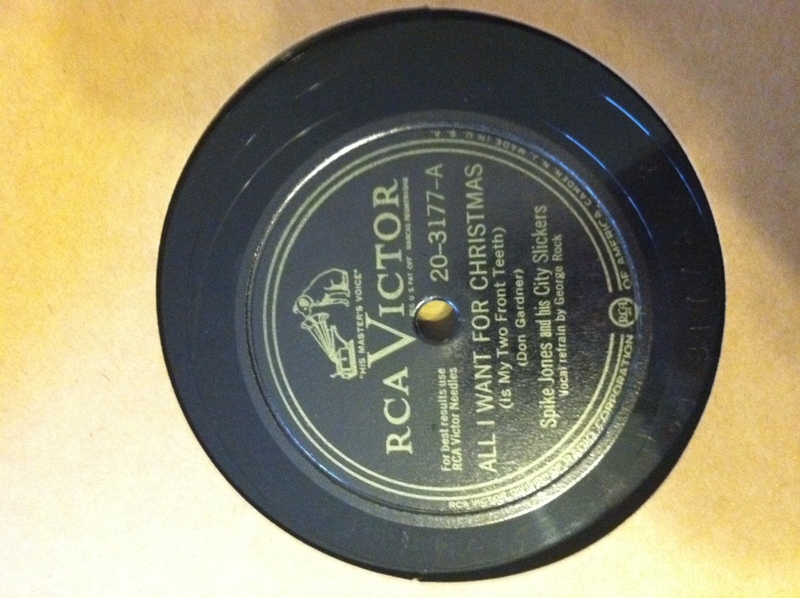 “All I Want for Christmas is My Two Front Teeth,” one of Jones’ most famous songs, was written in 1944 when Don Gardner, a music teacher in Smithtown, New York, asked his second grade class what they wanted for Christmas. He realized most the children were answering with a lisp because they were missing at least one of their front teeth. Thirty minutes later he had the song written. 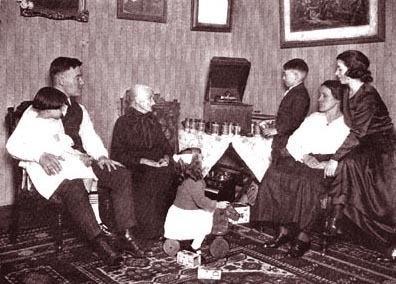 When he performed it in 1947 at a music teacher’s conference it was picked up by a representative of the Witmark Company and, ultimately, had its first recording (the one in this set) made by Jones and his band in 1948. 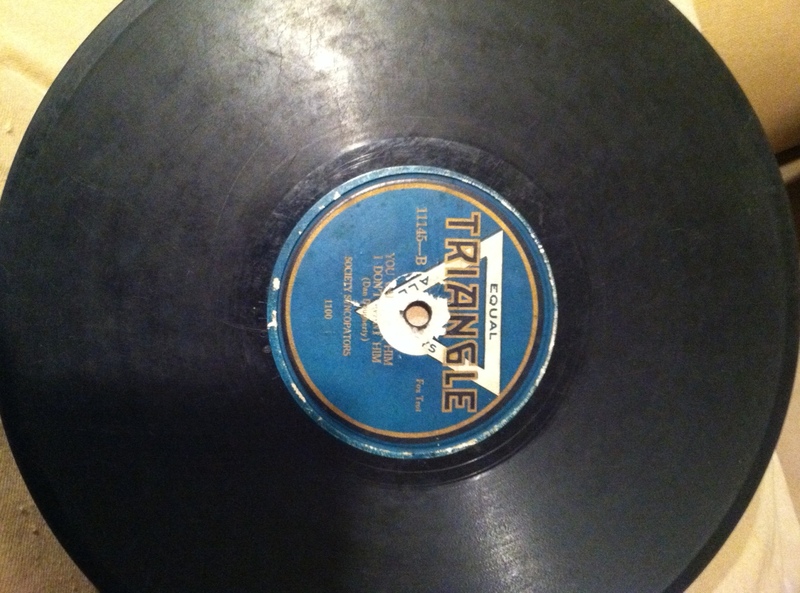 To Gardner’s utter amazement, it reached the top of the pop charts in 1949. It has since been covered by the likes of Danny Kaye with the Andrews Sisters, the Platters, Nat King Cole, the Three Stooges, the Chipmunks, and Count von Count of Sesame Street. How many other songs can say that? In the process of preparing this week’s entry and digitizing the records in this set I was very saddened to discover that this particular record has a straight-line crack at about 7 o’clock rendering it entirely unplayable. Nevertheless, I included it here. Only one of the three dealers selling this set online also had this album in the compilation. “Hawaiian War Chant” was written in the 1860s by the Hawaiian prince Leleiohoku and was originally entitled “We Two in the Spray,” with lyrics telling of two lovers, not a battle. 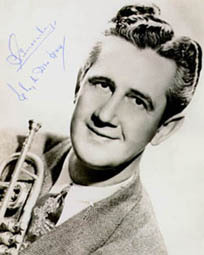 In 1936 Ralph Freed changed it to English lyrics and Johnny Noble altered the melody, and the tune was performed by the Tommy Dorsey Band in the 1942 film Ship Ahoy. 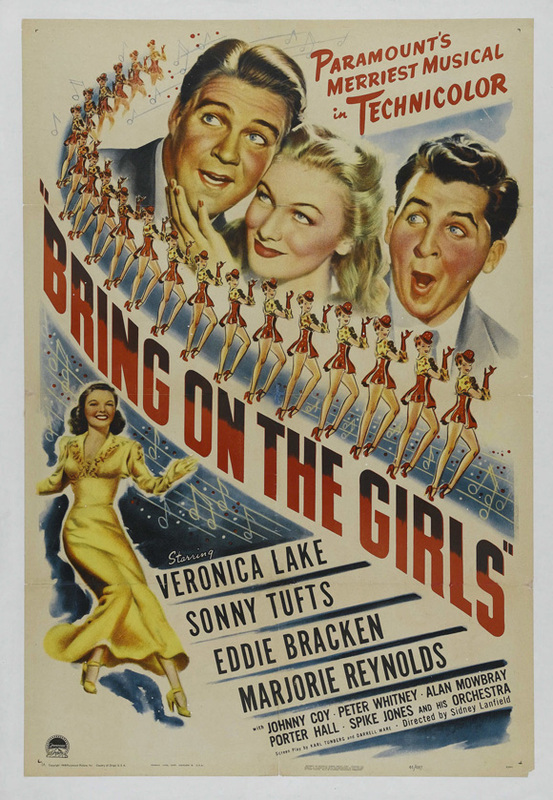 It was this version that Jones would lampoon in 1946, kicking up the tempo and changing the lyrics with Grayson doing the (uncredited) lead vocals. 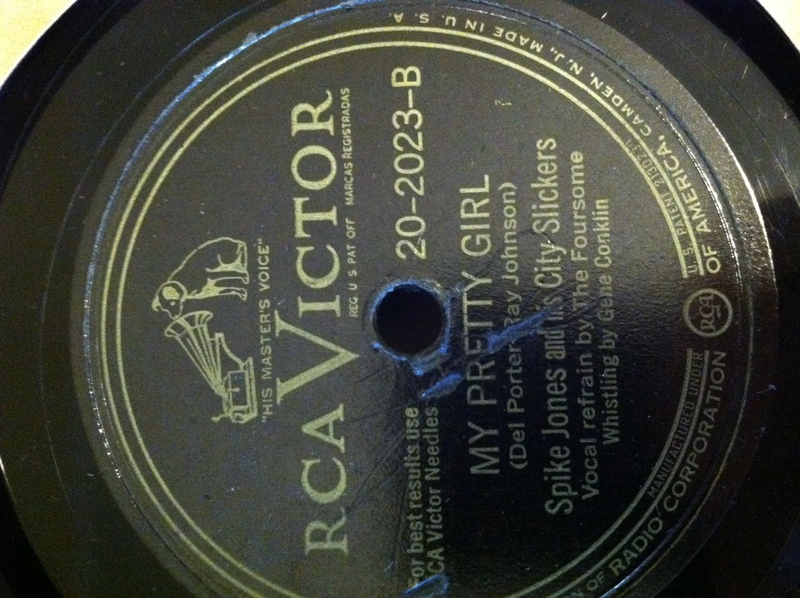 Jones’ version reached #8 on the U.S. charts that year, yet another example of a Spike Jones satirical take on a pop song actually selling better than the original song itself. Freed and Noble’s version proved more enduring, however, as Les Paul and Mary Ford, Sandi Griffiths, Sally Flynn, the Muppets, Nathan Lane (as Timon in The Lion King), Bob Wills and his Texas Playboys, and Weird Al Yankovic all recorded covers or adaptations of it. 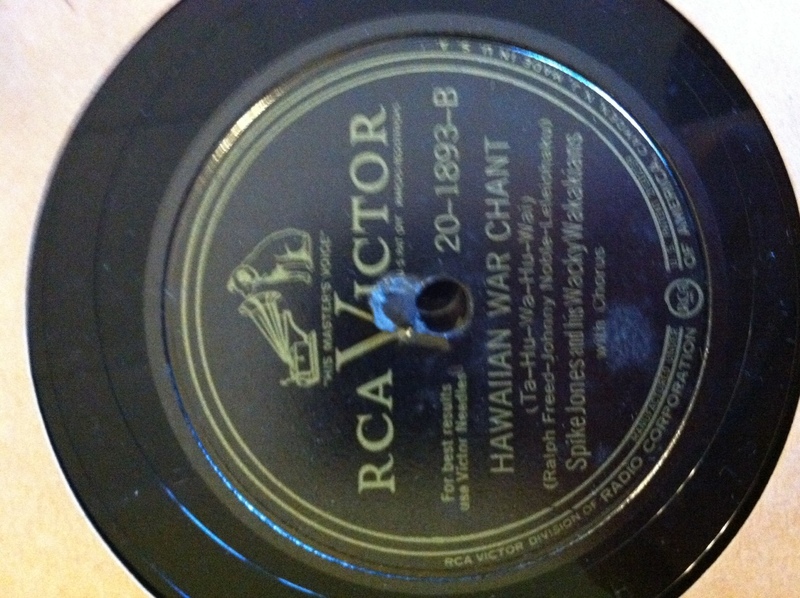 The song is in the regular repertoire of both the University of Hawaii Marching Band and the Michigan Marching Band. Finally, Disney has used it in two of their theme park attractions (the Enchanted Tiki Room at Disneyland and the Adventurers Club’s Pleasure Island). This album, with its two fox trots, appears in all three versions of the “Musical Depreciation” set I could locate online, as well as in my own; therefore, I am fairly confident it was part of the original compilation issued by RCA Victor. Interestingly the label (which simply reads “Victor” instead of “RCA Victor”) differs from the other four albums in my set. 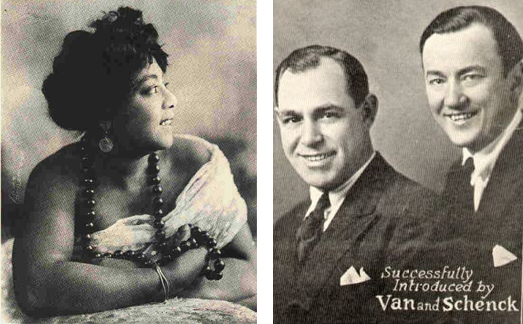 “Chloe” reached a relatively unimpressive #441 in the U.S. charts when it was first released in 1927. 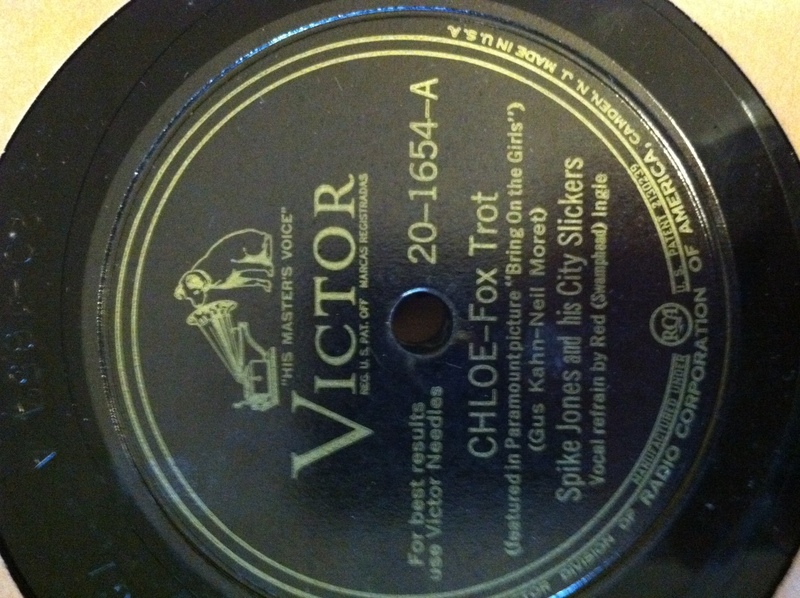 That version, of course, was the original song – “Chloe (Song of the Swamp)”, with music by Neil Moret and lyrics by Gus Kahn (see above for the anecdote related to Kahn’s friend, Jerome Kern’s, less than pleased reaction to the Spike Jones spoof). Jones’ version would place in the top 5 on the charts in 1945, again illustrating the often powerful effect that satire could have for boosting a song’s popularity – albeit in an altered, and not always desired, form. This album likewise appears in all three versions of the “Musical Depreciation” set I could find online, as well as my own; therefore it was also likely part of the original compilation. While the Liszt spoof is quite entertaining “That Old Black Magic” was the more popular. Harold Arlen wrote the tune and Johnny Mercer the lyrics, and it was published in 1942, quickly becoming a very popular standard. 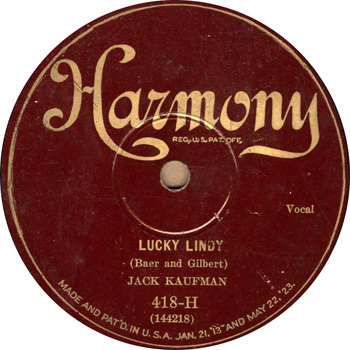 The initial recordings in 1942 were made by Glenn Miller, Margaret Whiting, Frank Sinatra (the Chairman of the Board sang an altered version entitled “The Old Jack Magic” at a celebration for John F. Kennedy the night before his presidential inauguration), Sammy Davis Jr., Mercer himself, and Judy Garland, for whom Mercer actually intended the song when he wrote the words. 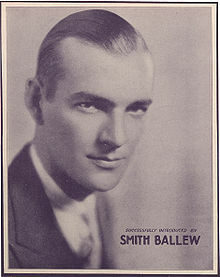 The song placed in the top ten for two separate recordings (Miller’s and Whiting’s) in 1943 and went on to be recorded by just about every major singer of the 1940s-1960s. Ella Fitzgerald crooned it in 1961 and Billy Daniels’ 1950 version earned him the nickname “The Old Black Magic Man.” Sammy Davis Jr. sang it on a guest cameo on I Dream of Jeannie and, perhaps most infamously, Marilyn Monroe sang it in the 1956 film Bus Stop. Who else? 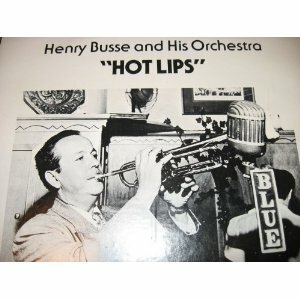 Jerry Lewis, Louis Prima, Dave Brubeck, Cab Calloway, Rosemary Clooney, Bing Crosby, Doris Day, Tony Bennett, Miles Davis, Dizzy Gillespie, Johnny Mathis, Van Morrison, the Platters, Kevin Spacey, Mel Torme, Tom Jones… Over 75 recorded versions (including Spike Jones’ and one by the Muppets – I’m noticing a pattern there) and five appearances on feature film soundtrack, background music on two episodes of Star Trek: Voyager, and as background music to the 1996 Miss Universe beauty pageant semifinals. My apologies to the link to the song of “My Pretty Girl.” The only recording I could find of it online was that one. 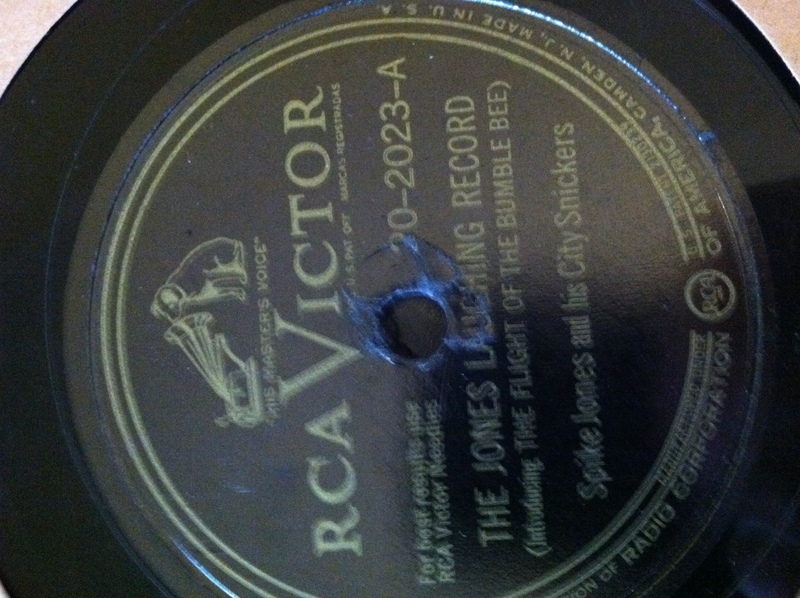 There is a fun live performance of just the Spike Jones version of “Flight of the Bumblebee” to be found elsewhere, however. Again, this record does not appear in the other three sets of “Musical Depreciation” I found online, suggesting it was probably added by a later owner of the compilation. The original “Flight of the Bumblebee” was an orchestral interlude by Rimsky-Korsakov written in 1899 for his opera The Tale of Tsar Saltan. The piece closed Act III, Tableau 1: the magic Swan-Bird changes the Prince into a bee so he may fly off to visit his father, who believes the prince is dead. The song is infamous for its highly technical complexity, consisting primarily of long runs of sixteenth notes. While the original composition (mercifully) split the runs up among the various orchestra instruments, later adaptations were crafted and arranged to showcase virtuosity on a single instrument by highly skilled musicians. Rachmaninoff’s transcription of the piece for piano is probably the most famous. 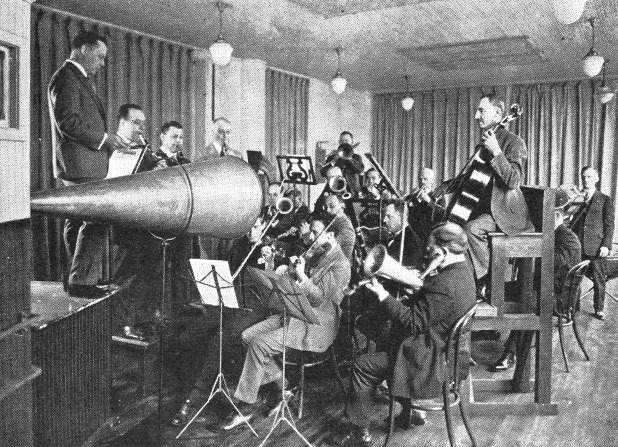 Later musicians used it as a solo piece for violin, guitar, and – with Jones’ recording – trombone. 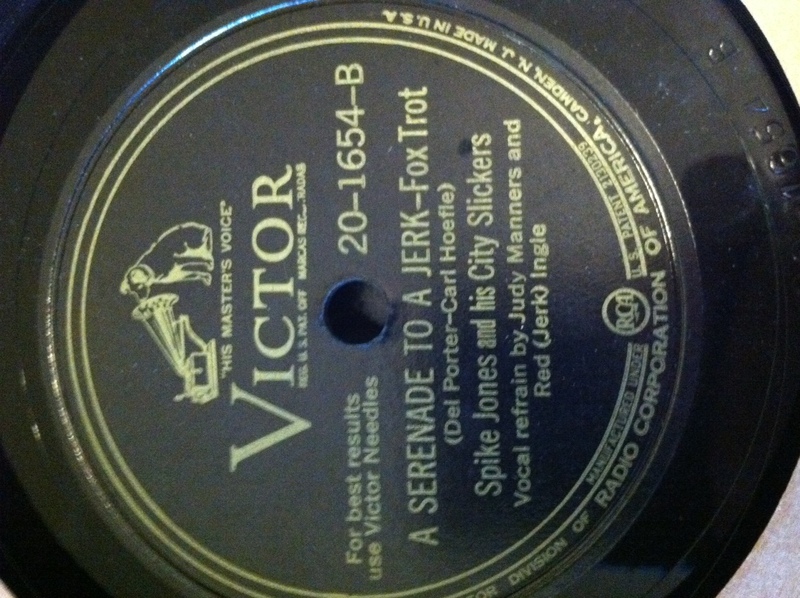 78-RPM recordings of novelty orchestras are normally of high monetary value, but Spike Jones and his City Slickers were so popular and so prolific that their albums were produced in huge quantity, making them almost without value to a collector. But, to a music enthusiast – especially one with a sense of humor – they are a must have for any collection of 20th century American records. Clever, fun, and upbeat, you are almost certain to at least crack a smile, if not burst out laughing, at each one. I had the great joy of putting this week’s entry together with my toddler running around and it was wonderful to watch her laughing and dancing to these songs as I played each one in turn (she especially enjoyed “Liebestraum”). 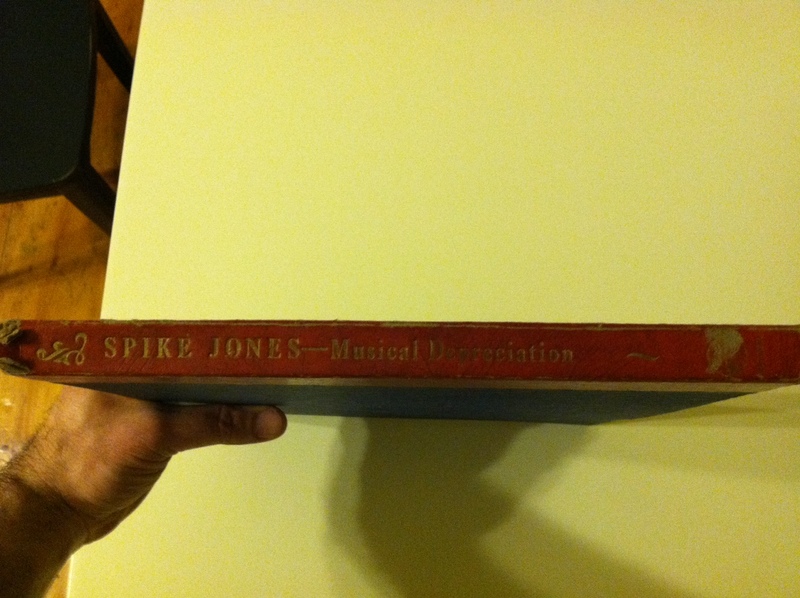 So, click the links above to the songs in “Musical Depreciation” – and then click around to the other Spike Jones recordings available online. Then put your feet up and laugh a little.